The most successful child performer in Hollywood history, Shirley Jane Temple was born in Santa Monica, California, on April 23, 1928. Determined to make Shirley a star, her mother enrolled her in dance lessons when she was three. 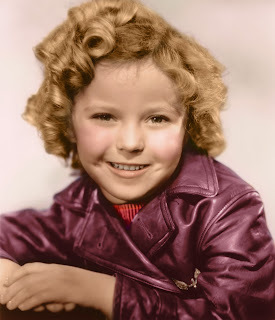 Two years later, Shirley was signed to a contract with a small movie studio, Educational Pictures. She sang and danced in two series of shorts, Baby Burlesks and rolics of Youth. Temple later remembered how her mother, before each take, would yell “Sparkle!” as “a code word meaning concentrate.”Shirley’s early efforts earned her contract with Fox paying $150 a week. In 1934, she was cast in Carolina, the first of eight features she would film that year. Among them was Stand Up and Cheer, in which she stole the picture singing and dancing to “Baby Takes a Bow.” Its popularity led to Little Miss Marker, her first starring role. Also in 1934, she sang her signature song, “On the Good Ship Lollipop,” in Bright Eyes and danced possibly her most famous routine with veteran tapper Bill “Bojangles” Robinson in The Little Colonel. 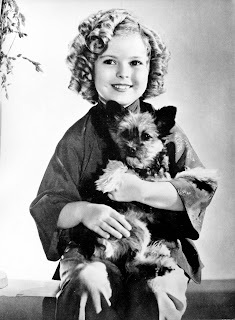 Filmgoers immediately embraced Shirley Temple as their favorite star. In the desperate years of the Great Depression, the cute and confident Temple became an icon, whose constant cheeriness inspired a comforting optimism that better times were ahead. In many of her films, her character’s simple wisdom helped the adults around her deal with their problems. This formula earned Temple the nickname “Little Miss Fix-It” from movie industry insiders. Temple’s costars inevitably admired, however begrudgingly, her astounding professionalism. Though only five years old when she was thrust into movie stardom, she was able to master complex song-and-dance routines far faster than most of her adult partners. An amazingly quick study, she also memorized not only her own lines but all the other actors’ as well. Actress Alice Faye once recalled, “She knew everyone’s dialogue. If you forgot a line, she gave it to you. We all hated her for that.”Only a year after her feature debut, Temple won a special miniature-sized Oscar for her “outstanding contribution to screen entertainment.” Her studio, which had merged with Twentieth Century, also appreciated her outstanding contribution to its bottom line. The $30 million Temple’s pictures earned for Twentieth Century-Fox kept the fiedging studio afioat. As the number-one box-office star between 1935 and 1938, Temple received a salary of $10,000 a week. She earned even more from a series of lucrative endorsements. Merchandise featuring her likeness became a significant industry. Nearly every little American girl in the late 1930s had a Shirley Temple doll or coloring book. Wanting to cash in on the Shirley Temple phenomenon, Metro-Goldwyn-Mayer (MGM) tried to convince Twentieth Century-Fox to loan out its greatest star for MGM’s musical extravaganza The Wizard of Oz (1939). When Temple’s studio refused, MGM had to settle for the up-and-coming JUDY GARLAND instead. Few could see then that as Garland’s star rose, Temple’s would quickly fall. In 1940, she starred in her own musical fantasy, The Blue Bird, which proved to be her first substantial box-office failure. As Temple moved into her teens, she tried to reconnect with her audience, who seemed to lose interest in her as she aged. She appeared in 15 films during the 1940s, but as a minor player rather than a star. Temple also struggled in her personal life. In 1945, she married John Agar, who subsequently became a film actor. They had one child, Susan, before his heavy drinking led them to divorce in 1950. The same year, Temple met and married California businessman Charles Black and retired from the movie business. Now calling herself Shirley Temple Black, she moved with her husband to San Francisco, where they raised Susan and two children of their own, Charles and Lori. Black largely stayed out of the public eye until 1967 when she ran for Congress as a Republican. Although she was defeated in the primary, her political aspirations caught the attention of President Richard Nixon, who appointed her a United Nations representative. Widely respected for her intelligence, grace, and composure, Black later served as the ambassador to Ghana (1974–76) and Czechoslovakia (1989–92). Despite her distinguished diplomatic career, Shirley Temple Black is still remembered by many as the smiling, curly-haired five-year-old beloved by millions of Americans during one of the country’s darkest periods. Although she has not appeared on film for 50 years, she continues to receive hundreds of fan letters a week. Edwards, Anne. 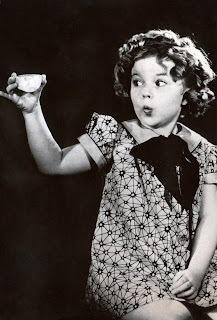 Shirley Temple: American Princess. New York: William Morrow, 1988. Hammontree, Patsy Guy. Shirley Temple Black: A Bio-Bibliography.Westport, Conn.: Greenwood Press, 1998. The Little Colonel (1935). Twentieth Century-Fox, VHS, 1988. Little Miss Marker (1934). Universal, VHS, 1996. Stand Up and Cheer (1934). Twentieth Century-Fox, VHS, 1989.